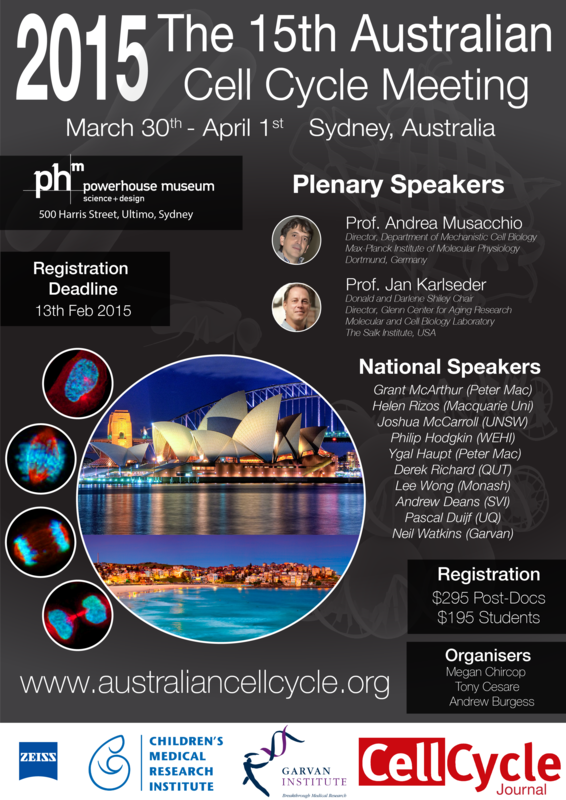 January 22, 2015 January 22, 2015 Andrew Burgess1 Comment on Last Chance #ACCM15 Poster & Registration Deadline Closing Soon! Don’t miss out on what is set to be a fantastic meeting, with a stellar line up of International and Australian scientists. Be quick as there are limited places, and only a few spots left. Registration closes on Friday 13th of February. Next #ACCM15 Full Program to be announced later this week!